This entry was posted in Christian Spirituality, Creativity, Gratitude, Inspiration, Transition and tagged change, Christianity, culture wars, death, fact, Faith, fake news, Family, God, Grace, gratitude, History, Hope, idiocy, Jesus, John Adams, liberals, life, love, lunacy, Montgomery Ward, news, Peace, photography, prayer, presidents, progressive liberals, Robert May, Rudolf the Red nosed Reindeer, Rudolph, snow globe, teaching, The Huffington Post, The HuffPost, time, Transition, truth. Save the whales but will run into a flock of geese so they can get to their right to choose rally. Great post on a subject I can personally relate to because of my name Rudy, or short for Rudolph. I can still remember my grade school classmates teasing me about the Gene Autry song played over and over again. However, their teasing was good-natured for the most part, even though my nose was normal then, but sure has grown over time of 78 years now. I searched for a word to describe petty people who manage to change something lighthearted into something dark-hearted, same as changing color from light to dark. The one I chose was EXACUM. In other words, the blog source writer belongs to an EXAcUM writer genus for changing a lighthearted into something dark in meaning, in my opinion. The wise will recognize his folly. The foolish seem to always want to display their foolish perspectives same as a fool manages to display with either his mouth or writings. Thanks though for the lol it gave me to remember the good-natured teasing I endured because of Gene Autry’s hit song in my childhood time. my last name was Nichols, so my brother lived with the name “pickles nichols” and with my name being Julie, when Bobby Sherman came out with the song “Julie, Julie, Julie do you love me?” it was all I ever heard. We all survived last I checked. Small world, Rudolph and Nichols team up to defend the reputation of a beloved Christmas character………or something else? Awesome post, Julie! Thanks for the back story and for the reminder that Rudolph endures and overcomes, that what elves and people intend for ridicule, God can work for good. We’ve been blessed a few times to go hang out with the real reindeer. I’m not enthusiastic about the Northern US this time of year, but it is kind of fun to go watch the Vikings bring Santa in by boat and to see the parade of uncooperative reindeer all dressed in bells and Christmas ribbons. Fact and Truth must be boring to this current culture of ours as they constantly pretend as if it doesn’t exist. And how cool would it be to watch some less than enthusiastic reindeer usher in Christmas! Sometimes I truly wonder whether outlets like HufPo really believe the outlandish things they post or is it all about clicks and publicity? Stories like that about Rudolph and the recently discovered “racism” of Charlie Brown make my blood boil, but I have to believe the majority of people view the like we do, as complete and utter nonsense. At least I hope and pray! I enjoyed the background on Rudolph too, cool stuff Julie! Talk about rising blood pressure—Rudolph, Charlie Brown??? Paaaalllleeeeze! This is the stuff that drives the sane nuts…maybe that’s their angle…drive those of us with sense left in our heads and heart insane!!! Did this Huffpost writer perform an EXACUM on Rudolph? Reading this post about one of my namesake Christmas beloved character created in my childhood years., I believe I am justified to expose his folly. This Bible verse was written 3000 years before the printing press, radio, TV, internet, which can amplify the sounds or writings of a fool. Read this post, of how a fool can express an opinion that exposes him to be a fool for performing an EXACUM of folly on this beloved character, in my opinion. Thank you ! 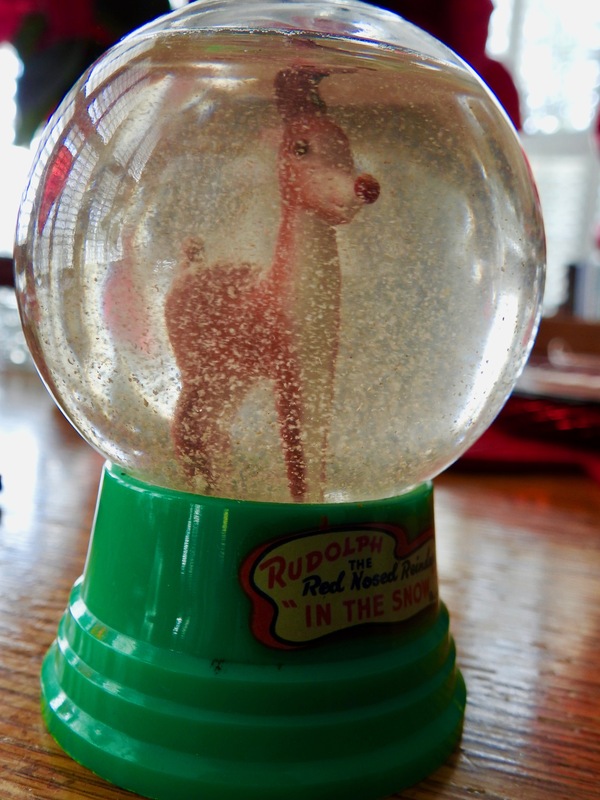 I was born in ’64 but close enough to your age to also love Rudolph and his story. I briefly heard something mentioned on fb about this idiocy, but I chose not to click on it. Thank you for telling us the REAL STORY. If memory serves correctly, according to the story I heard, Gene almost passed on the song as well until his wife convinced him to record it. If hadn’t been for Mrs. Autry, we might not have the song or the movie that it inspired. I too grew up watching Rudolph. Even now, in my 5th decade, I will stop and watching it. The people who find fault with the movie are looking at the wrong characters. Sure Donner and Comet were jerks, and Santa wasn’t much better. But Rudolph is the one who made the decision to face his fear and family and be who he truly was. You’d think progressives would flock to that message. Huff Po is straight up Whack. couldn’t have said it better myself Jim!!! These Left-leaning hermeneutics of “Let’s be uncharitable and search out for micro-aggression and making a mountain out of mole hill” is so unhealthy and dangerous. Me too Dawn—h-e-double toothpicks indeed!!!! !